“So banks and governments are the ones that have the fear. Well they should have some fear. They have taken control and power away from their citizens for hundreds of years. It’s time that we, as citizens, took that power back,” McAfee. Cryptocurrencies have captured the attention of investors and world governments alike, especially given Bitcoin’s meteoric rise over the past 12 months. Cybersecurity expert John McAfee believes they may encompass the sum of all fears for governments the world over. The blockchain technology that cryptocurrencies like Bitcoin and Ethereum are built on helps to solve the problems that plague traditional banking, by cutting out the middleman, thus reducing fees for consumers, while also decentralizing and securing transactions. With no centralized exchange to control or influence, national authorities around the world will find it increasingly difficult to determine a given citizen’s income and thus their income tax owed, undermining a critical source of government revenue, according to technology pioneer and head of MGT Capital Investments John McAfee. “Our income taxes are the greatest source of revenue, but if everybody’s using Bitcoin, the government doesn’t know what your income is. They can’t tax it, and if you choose to say I didn’t have anything, they cannot prove otherwise,” McAfee told CalvinAyre.com. “It will eventually frighten every nation state, but it doesn’t matter what they do, there’s no way you can create a law or to legislate something that will stop Bitcoin or any cryptocurrency because technically, you cannot,” he added. The fear is palpable in the market as both China and South Korea have mulled clamping down on the proliferation of cryptocurrencies in recent months. Meanwhile, Japan is poised to fully embrace the blockchain market by establishing its own digital currency. The often outspoken and eccentric McAfee did highlight the need for some regulation, however, preaching caution over the latest trend of government-sponsored Initial Coin Offerings (ICOs). “China is right about one thing, the ICOs, the initial coin offerings, there are lots of scams, lots of people who are fraudulently taking money from other people, so that’s got to stop. But I don’t think governments can stop it. We as users and the bitcoin community have to be self-regulated,” McAfee said. For context, JPMorgan rival Goldman Sachs have flirted with the idea of establishing a cryptocurrency trading operation in recently. “So banks and governments are the ones that have the fear. Well they should have some fear. They have taken control and power away from their citizens for hundreds of years. 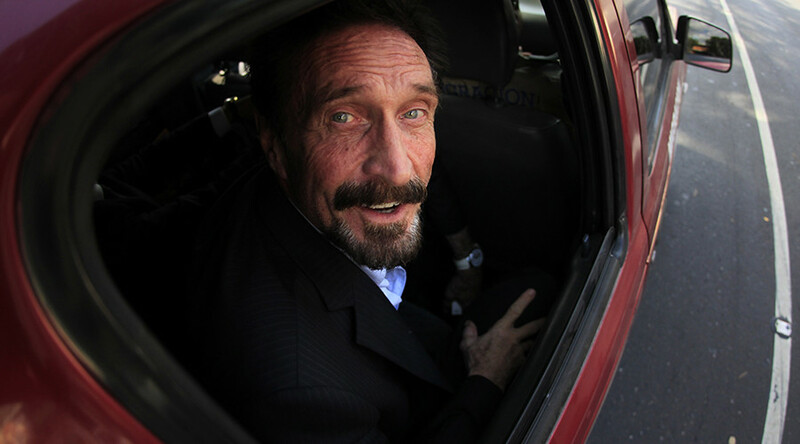 It’s time that we, as citizens, took that power back,” McAfee concluded.